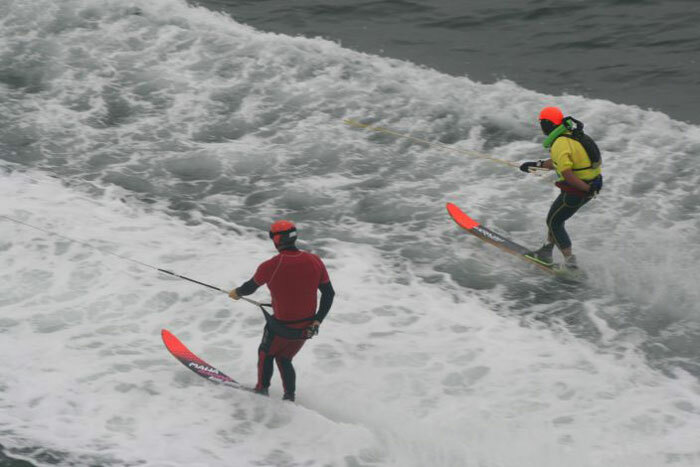 LONG BEACH — Australian waterskier Peter Proctor finished the 64th Catalina Ski Race with the overall best time, waterskiing from Long Beach to Catalina and back behind a powerboat in just under 51 minutes. The race pitted nearly 70 boats with waterskiers in tow against each other in a 62-mile race from Long Beach to Avalon Harbor and back. Proctor, who led the race for its entirety, narrowly edged out perennial champion Todd Haig of the United States. On the women’s side, American Erin Saunders completed the trek in one hour, three minutes behind a 42-foot Nordic with Wayne Murray at the helm. Crowds started gathering for the event around 7 a.m. for the 9 a.m. start time July 21, to watch skiers ages 12 to 70 begin and end the grueling race.